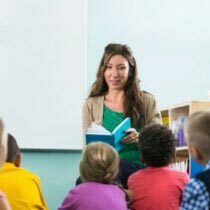 If you have ever considered being a teacher or are almost ready to graduate from a teacher training program, you might have some ideas about what you think teaching is really like. For veteran teachers, however, there are a lot of things they have come to realize about the profession that they never knew before. Check out 50 things real teachers did not know about teaching until they had their own classrooms. How much paperwork, stress, and worry I would bring home with me each night. ~M.P. I learned that no matter how much you plead with a parent…some parents just don’t care if their kids succeed or fail. ~M.W. You may have to wait an hour or more until another adult can watch your class so that you can get to the bathroom or get some water. ~R.H. How quickly I came to think of the kids individually and how intensely I want to design lessons that spark their curiosity and their desire to explore, touch, see, feel, and taste their world! I see things in my common day and immediately think, “Wow! So-and-so would relate to this. I have to figure out how to work it into my plans.” It surprises me how often “they” invade my thoughts! ~B.H. That all of the theories I learned do not apply to the children that I have the pleasure of working with. ~D.G. I would never have guessed how many kids aren’t provided food by their own families. ~M.M. How rewarding it is, despite everything, and you better really like what you do, because you’ll be doing it 24/7! ~B.M. That sometimes adults are the biggest hurdle to educating children, be it parents, teachers, administrators, or politicians. ~T.O. How difficult intervention planning is for a class of varied ability levels! Seating charts are hard to come up with too! ~B.N. It’s not easy – even if you DO love children! ~K.S. I was surprised that I spend as much or more time parenting my students as I do teaching them! ~E.B. That you have to buy your own supplies! My first year teaching I was given a trash can and 32 desks – that’s it! ~M.W. The paperwork blew me away! Also, trying to figure out how to manage the little time you actually get in the classroom. ~A.S. Building relationships opens the minds of students! ~D.G. Angry parents and how to address some of the things that are said about you that are far from the truth. I think colleges need to have a course where you have to formulate responses to ridiculous emails and have mock conferences with irate parents. ~L.H. The overwhelming feeling of drowning and just as you think you are getting a handle on things, the more non-teaching stuff comes your way. ~T.K. Correcting papers isn’t as much fun as one might think! ~N.C. Everything takes longer than you think, and at least 15 minutes. ~M.S. The pride I feel when they come back to tell you they are doing all the things you said they would! ~C.C. I always thought I would love decorating my bulletin boards. It wasn’t until I was a teacher that I realized it isn’t so much fun AND I don’t have time to do it! ~C.L. Motivating kids is way harder than you could imagine. They don’t teach that in school. What the book says to do doesn’t always work with classroom management. The stress level is much higher than anyone can imagine. We aren’t just teachers: we are surrogate parents and counselors. ~H.W. How little contact there is with other adults. There are days I don’t see the other 3 people I share a pod with! ~P.D. There’s not enough room to put everything in the classroom – ever! ~J.M. The secretary and head custodian are actually the most powerful people in the school. If they don’t like you, your life will be awful! ~L.W. That a fire drill can be any time of day and that not everyone should try to exit out of the same doors. ~J.F. How much I sound like my mother when I reprimand a student… ~A.E. That when kids do “get it”, the joy is way more than I ever expected it to be. That’s what makes teaching worth it! ~B.S. That you will hate being part of a broken system that is resistant to change! ~B.H. I do behavior management 70% of the day and sometimes get to throw in a lesson. I’m also the students’ counselor, therapist, “parent”, teacher, etc. all in one day. ~J.L. How teaching is on my mind 24/7. ~S.G. The amount of paperwork and non-teaching things that have to be done everyday. ~B.H. College didn’t prepare me for dealing with the many parents who are less than stellar. 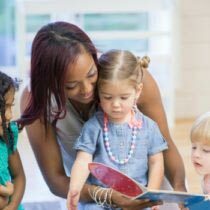 There are very few who really want to partner with the teacher to do what’s best for the child. ~K.M. Messy floors and constantly breaking pencils! ~T.P. Parents can be mean. ~C.L. That some politicians, parents, co-workers, and students do not care about education. ~J.R. That at the beginning of the year my students are such “babies”, but by the time they leave kindergarten they are such independent little people. ~T.W. That many first year teachers get “thrown under the bus” and are expected to know everything. ~H.P. How many extra little things need to get done (i.e. – milk money collection, agenda notes to parents, book orders, newsletter, etc.). Not to mention the night time clean up of pencils on the floor and glue stuck to desks! ~C.M. The amount of my salary I’d spend on my classroom supplies! ~J.O. There is not enough time in the day. You will repeat yourself so many times that it’s amazing you have a voice left at the end of the school day. ~K.R. That what is taught during college courses really doesn’t even touch on the reality of being in a classroom. Some methods taught to teachers are not really compatible with the reality of classroom life. They look good on paper, but in practice they don’t always work so well. ~D.S. How good it feels when a student starts to read! ~S.G. The little things that take so much time – paperwork, pencils, and how even though you are physically and emotionally exhausted day in and day out…one little smile from a kid makes it all worth it. ~R.S. The government is constantly throwing up roadblocks to providing a good education! ~J.W. They say it isn’t about testing or teaching to the test, but that is all they talk about. You aren’t allowed to veer off the course that is mapped out for you. You are supposed to teach and re-teach, but the time to do that is never in the pacing guides. ~S.M. It is a completely thankless job, but I love it more and more everyday! ~M.A. There are always new acronyms to learn and they usually relate to things that take away time from teaching! ~M.B. Teaching students to read is a lot harder than you think. ~D.J. That, despite everything, it’s the only job I want. I love my students and I’m making a difference in their lives, just like they’re making one in mine. ~ M.O. What have you discovered about teaching that you did not know until you became a teacher? Share your thoughts with us below! I’ve been teaching Kinder 21 yrs…and have seen the wheel of teaching techniques go full circle SO many times Same teaching idea-different label. However-what STILL makes my day is the unconditional love that is shown by 5-6 year olds .No matter what kind of day you’ve had-they love you! There are always so many new things happening in the field of education that sometimes do and don’t pertain to the instruction of children. When so many changes come at one time, they can seem a little overwhelming. I would say most educators look at these changes as a burden or one more thing that takes time. I have even seen fellow teachers sit and complain, and even post on Face Book their anger with these changes, which wastes more time than if they were working on whatever needs to be done . If more teachers would just look at these changes as a challenge, I think everyone would be happier and be more willing to put the effort into doing their best to meet the challenge. I love a good challenge! And, who knows; maybe the changes weren’t so stupid and you will actually learn something about yourself or some way to improve yourself as a teacher. How much money out of your own pocket you spend on resources, decorations, motivational goodies, and countless other extras for your classroom and students! Sometimes the most important thing your students need is just to know someone cares and wants them to succeed. They might not remember your stellar lesson on parts of speech, but they will remember that you took the time to care about them as people. The numerous non-teaching “tasks” that we work on at home or after the students leave for the day because they just cannot be done during the day when we are TEACHING our students. It’s sad how much time some of these “tasks” take away from our planning and preparation of lessons, which should be our TOP priority! How little the people who have power over educational dollars really know (or perhaps really care) about education. This is a real problem because of all of the issues cited by the comments above. Find colleagues you can trust and ask for help! It’s OK to not have all the answers, especially the first year. Trying to prioritize what needs to be done right away and what can wait has been really challenging for me, but I try to write To Do lists and as I cross things off I feel more productive. Those of us who have been teaching for many many years can be a great resource to new and young teachers. However you have to first ask, then allow us to help you. Teaching is not as easy as you might think and college does NOT tell you the things that you learn from experience. Let us share with you…we can do that because we KNOW and have BEEN THERE!